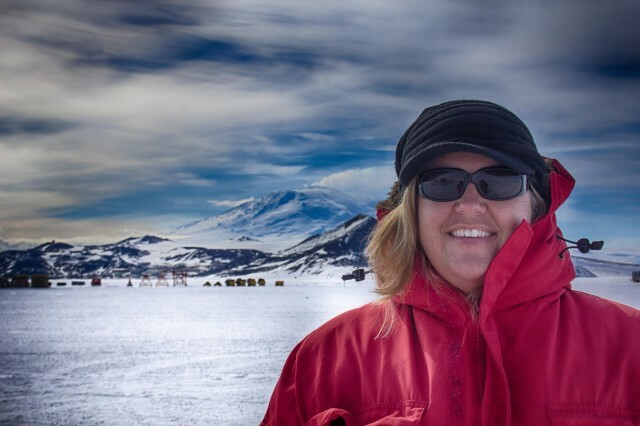 Kimber Beachy lives in Goshen for part of the year and works in Antarctica for the remaining months. Kimber Beachy lives in Goshen, but her office is about 9,000 miles away—at McMurdo Station, Antarctica. Generally, Beachy works on the Ice—a nickname for the continent—during the austral summer (October to February) and then returns to the States for a second summer. During her time in Goshen she travels, volunteers, visits friends and enjoys her yard. Beachy grew up in Goshen, but didn’t stay there long. After college, she lived in New York City and Portland, Oregon for several years each before starting to live as a nomadic seasonal worker. Although Beachy’s first application in the 90s to work in Antarctica wasn’t accepted, she didn’t give up. While hiking the Kepler Track in New Zealand in 2003, Beachy met a man who had just finished a season in Antarctica who made a connection for her, and she got an interview. Beachy has been a seasonal worker with the Antarctic program ever since. “The low cost of living in Goshen helps me afford to live a seasonal life,” she said. 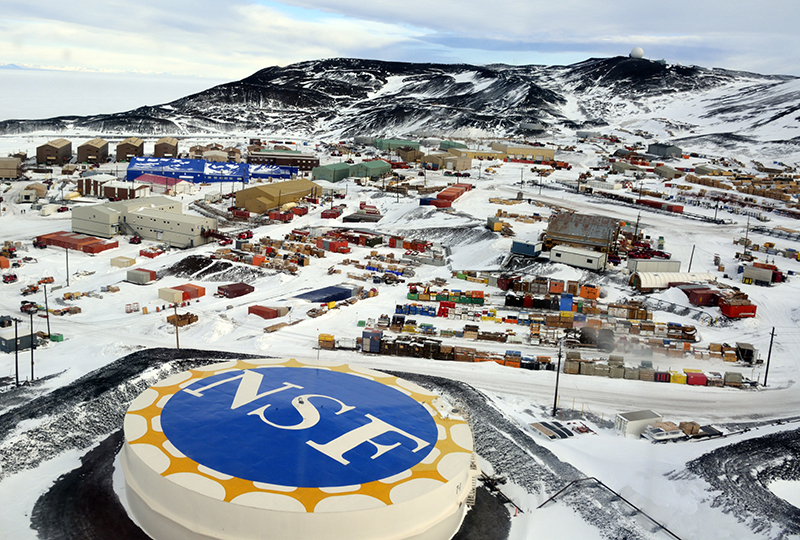 McMurdo Station, managed by the National Science Foundation’s U.S. Antarctic Program, is one of about 70 scientific research stations that are in operation during the austral summer. Beachy is one of approximately 600 contracted employees who keep the station running efficiently each summer. After 12 seasons working on the Ice she has transitioned between eight jobs, from dishwasher to the lead at the IT HelpDesk. 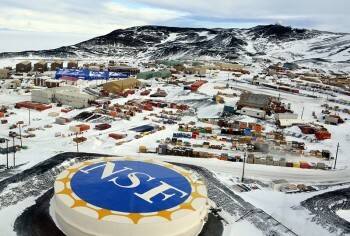 McMurdo Station, where Beachy is currently working, is managed by the National Science Foundation’s U.S. Antarctic Program. Photo by Peter Rejcek, for the National Science Foundation. Although cold temperatures are a reality for people working in Antarctica, Beachy doesn’t seem too concerned. During the austral summer, temperatures at McMurdo might even reach as high as 50 degrees Fahrenheit. While Beachy usually works the summer season, she spent one winter on the Ice. Although excursions out into the wilder parts of the region are rare for workers whose job keeps them in town, Beachy has been fortunate. In January of 2013, her ninth season, she took a helicopter trip with a group of scientists who were observing orcas. The group spent a few hours observing orcas in the pools while the scientists took photos of what they estimated to be about 40 whales. Beachy enjoyed watching the whales, but wished for something more. “I really wanted to see penguins pop out of the water at the ice edge like I’ve seen in videos,” she said. “We saw plenty of Adélie penguins on land near the hole, but none really in the water. It looked like the group was about ready to head back to the station, but Beachy saw some Adélies in the water next to them and requested a little more time. Although it’s difficult to be away from friends, family and her adopted Italian greyhound, Joy, Beachy has found a community on the Ice.